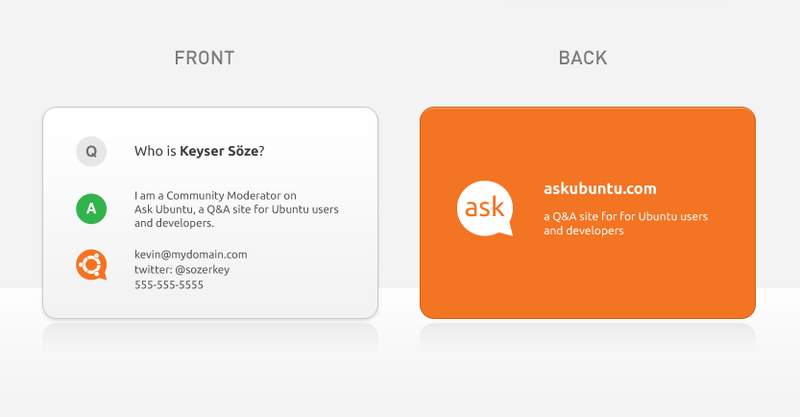 If you're a moderator on the main site, would you be interested in having your own Ask Ubuntu contact card? Would you find it useful? I can see them being handy to pass out during your local Ubuntu meetups or conferences. I'd find it really cool to own but I don't know where I'd give them out. It makes sense if you're an employee who needs a professional hand-me-out. Has this been done for any other sites' moderators? How are they using them? I'm not against the idea - they look great.